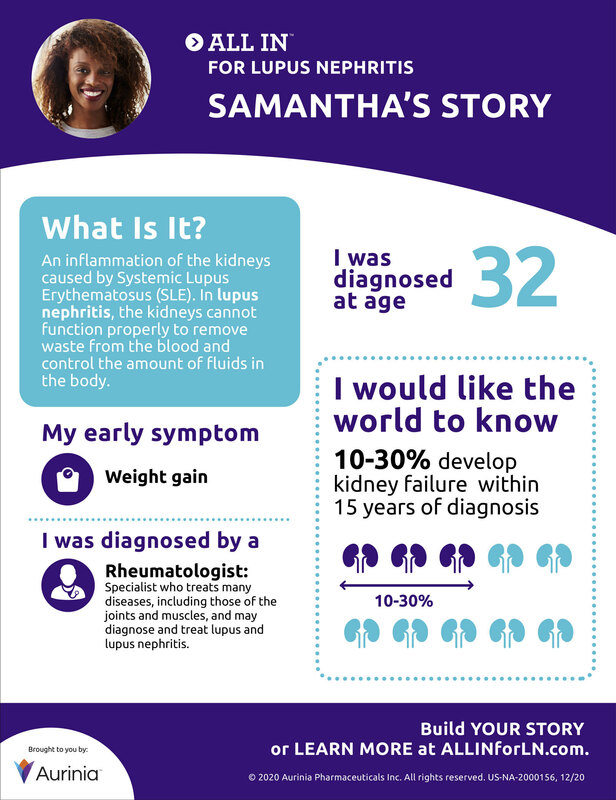 Build and share your lupus nephritis story now. Select the options below that best describe your experience living with lupus nephritis. Then click complete, and your story will be created. By clicking complete, you are agreeing to take part in a survey which will use your personal information to create an infographic and that you are 18 years of age or older. * Download or share on your social networks to raise awareness of lupus nephritis. Select the fact you would you like to share most with the world about lupus nephritis. Compared to Caucasians, the prevalence of lupus nephritis is roughly 4X higher for African-Americans and Asians. 2X higher for Hispanics and Native Americans.